“God I’d hate to be your Doctor.” says my Dad. “Wha.. What! How can you say that what are you talking about oh my God! “ I squeal in a voice three octaves higher than my usual one. 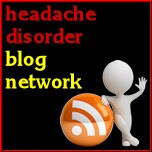 “…An educated patient is a patient who has the potential to experience optimal headache relief. You should know as much as possible about your headaches, your treatment plan, and the medications you take. Sometimes the amount and type of information a patient receives are defined by the doctor-patient relationship." “Darling, let the man do his job”. But I’d like it to be noted that in the process of cleaning up one bout of particularly runny diarrhoea I smacked my head on a shelf, not ideal for someone with migraine. So I had a particularly vested interest in getting to the bottom (ha ha) of Bimbo’s plight. But back to the human species relationship with Doctors. Since my car accident in 1998 and the onset of my Migraines, I have seen many, many Doctors, Specialists and Nurses. I’ve seen some of the top Consultants in the country, both here and in the States. I have observed that we mere mortal patients have a tendency to treat these revered Doctors like Gods. This is understandable as our lives, our pain and our health is largely in their expert hands. But we must recognise that they’re not infallible, they make mistakes, they’re humans too. A couple of years ago it struck me that I could refuse to be intimidated by another Doctor when I remembered that I too could have studied medicine at university. I got the grades. My peers at university were no more clever than I. They had just chosen to study another subject. I’m not denying that medicine is a calling, requiring a specific skill set, determination and passion but I’ll have you know I got A* for Science GCSE, I could have done science A-Levels! I also have three Masters Degrees, which surely adds up to one Medical Degree… um? The fact that these Masters Degrees are in creative subjects and I have chosen to heal the world through Musical Theatre rather than medicine should be irrelevant! My point is, it can be helpful to remember your friends from undergrad who went on to become Doctors when faced with a scary, patronizing Consultant. The Consultant standing before you was once downing shots in the student bar. Is he any different to your other friend who has now gone on to become a top Architect? Yes, your life is not in your Architects’ hands, but remembering that medicine is a subject that you could also have studied and a career you could have chosen, might help you feel less tongue tied and inferior in front of that Doctor who tells you your pain is ‘psychological’, or ‘no, that’s wrong, that pill couldn’t possibly give you that side effect’. Of course our Doctors know a lot more about medical conditions than we do, but this attitude of reverence, and our blind faith in their abilities, does not always lead to the best outcomes for us, the patient. The course of treatment I’m currently on has purely come about through my own research and perseverance. I have a complex type of migraine (but don’t we all) and have had to really push Doctors and even find Doctors who were willing to treat me. I could give several examples of misdiagnosis and mistreatment that set back my progress, which is why I’ve become an advocate for education and active participation in treatment. Plus, the ‘good’ Doctors I have met over the years have encouraged this. I do, obviously, listen to my Doctors’ advice and expertise but all the time remembering that I KNOW MY MIGRAINE BEST. I have also known some truly compassionate, genuine and astounding Doctors to whom I am forever grateful. I even named my last kitten after one. So please don’t mistake this for a diatribe against all Doctors on the planet. I just want migraineurs to be aware that they have to be active participants in their treatment, they have to be as educated as possible in their condition, and have the right to question their Doctors. Doctors will always have a bias to their own particular field and area of interest, which might not help your particular migraine. So don’t be afraid to question the prestigious man/woman in the white coat. Dad is probably right; I am most likely a Doctor’s worst nightmare, but I do my best to be as charming and amusing as possible to coat my steely determination to get better. NICE are to issues guidelines for the treatment of headaches. The article goes on to say “The guidance will for the first time give GPs information on how to diagnose and treat the three most common types of headache; migraine, tension and cluster.” I’m very glad NICE are finally paying this topic some much needed attention and I can’t wait to read the ensuing report - but the article is wrong (unless I’ve misunderstood). GP’s already have a FANTASTIC management and diagnosis tool in the shape of the BRITISH ASSOCIATION FOR THE STUDY OF HEADACHE (BASH) guidelines. Anyone, with any sort of headache and migraines MUST READ them, right now. They’re a gold mine of information, you’ll learn a lot about the drugs you’re on and why, you’ll also pick up some useful tips and maybe get some good ideas to discuss with your GP about your treatment. If you GP hasn’t heard of the BASH guidelines, then maybe you should worry. 2. I also recently read an incredibly profound post from the blog “Diary Of A Benefit Scrounger” by a chronically ill patient, Sue, called “It’s all in your Head”. Migraine sufferers will relate more than most to this title, even though the post is not directly about migraines, but the dangers of doubt. I have quietly had to fight friends and Doctors over the years, fight them not to doubt the pain I was in and to believe that a major trigger was my neck (but that’s a whole other series of blog posts!) It’s an incredibly demoralizing (and ongoing) process. Sue is currently in hospital, awaiting another operation, and suffering an unbelievable run of bad luck. Please read her post and I know you’ll be astounded that someone can write so eloquently when in such pain. p.s Bimbo continues to flourish away from the Tramadol. We told the Vet that the women in the Saxton family (all of whom have migraine) don’t do well with Opioids so he better find another form of pain relief, which he is happily doing. Wonderful post, Victoria. Great advice. Take what your doctor says into consideration, but we are all responsible for our own health. Treat it like educated advice but realize there are many differing opinions between doctors. Keep in mind that there is a lot of new research in the field of migraines and headaches and it takes a while to filter down to doctors who don't specialize in the area. If your doctor seems dismissive it may be that they are really frustrated at not being able to help you. (It's not an excuse, but most doctors really do want their patients to get better and feel inadequate if they can't help someone). If your headaches are "complex buggers", ask for a referral to a headache centre. Hello Dr Zitney, thank you so much for your comment, means a lot, especially coming for a Doctor! I really wish I was still studying at Dartmouth as then I could pop across the border and come to see you at your Headache Centre. I really wish such centres existed in the UK, we do have headache clinics in hospitals, but as your websites states, migraines and headaches really do need a multidiscipline, consider all angles, type approach that your Centre seems to offer. I've actually put together a 'team' that are working quite well at the moment but if I get into trouble I will consider a trip across the pond! I was especially interested in the fact that you have an Osteopath and Physiotherapist on hand, I wish all Dr's (neurologists) would realise how crucial this can be to so many migraine sufferers. Physiotherapy and orthopaedic rehabilitation has been the single biggest help to me over the years (but as mentioned above I have minor neck damage from my original car accident in 1998.) Many thanks again. Hi Victoria! So glad to have found your blog! I have been suffering from what they thought was just (ah, just) severe vertigo. Finally, tis past February, they figured out I was suffering from Migraine Associated Vertigo. While the vertigo has abated for now, I'm left with daily migraines that are predominately around my right eye and front and right side of my head. Over the last few months, I have tried Topamax (which gave me brain fog... Scary! ), Gabapentin (which made me unbelievably nauseous) and now I'm on Nurtripolyne (I think I just butchered the spelling of that). I finally reached the desired dose last Monday after building up to it, but the fatigue was a lot to deal with (could easily sleep 15+ hours a day) and the migraines are still present. My neurologist told me to give it more time... Don't know if you suffer from extreme fatigue as result of your migraines and/or associated medications but at the suggestion of my boyfriend's father, I started taking the supplement D-Ribose. Gives me a great boost of energy (especially when caffeine isn't an option!). In hopes of isolating my triggers I have been meat-free, gluten-free, alcohol-free, dairy-free and caffeine-free without figuring out much except that I'm not a gal meant for caffeine. My appointment with the Headache Center here in Pittsburgh is approaching at the beginning of next month (after a four and a half month wait!) which will hopefully give me some good information. I had to stop working and going to school but am resuming school at the beginning of next month. I'm going stir crazy being at home and in general, I have found this journey to be very isolating and emotionally taxing. I saw that you mentioned your neck contributing to your migraines. My neck and back have been aching for months without much relief from the chiropractor. Can you tell me more about what's been working for you? In fact, any suggestions about migraines at all would be thoroughly welcomed. I saw the two books that you recommended and plan on checking those out ASAP. I have found much of the information that I've come across (particularly about migraine medications) to cause me more anxiety than help. As I'm sure you can relate, the whole experience is very panic and anxiety ridden (a.k.a will this ever be resolved? Will the pain ever stop? Will I ever be NORMAL again?). This is all compounded because this started pretty soon after moving to a new city, without a big support system here. The whole thing's just left me tired and fragile-- two things I would never ever have described myself as prior. I keep trying different approaches in an effort to get positive results- acupuncture, chiropractor, naturopath, massage, dietary changes and haven't found much success yet. So truly any words of wisdom you may have would be greatly appreciated by this frazzled twenty-something! :) Thanks so much for writing this blog. Well the first thing is to tell you is that you are not alone, not at all. In the UK every day over 190,000 people get a migraine so you can imagine what the number is in the States, about 37 million people in the States are believed to have migraine (not every day though!). So take comfort in that. Also take comfort in that you're going to the right place, a specialist Headache Center - lots of Dr and even Neurologist and pain specialists don't often speciliaze in migraines/headaches so can even make our problems worse - so soon you'll be in a place where you'll be getting the help and advice and support you need. The other way is to keep a very detailed migraine diary. I'm sure you're already doing this - but really paying close attention to triggers, intensity, time started/ finished, when you treated etc, can tell a good Dr a lot and I'm betting the Headache Centre will probably have a diary they'll send to you before your first meeting. I recc three online ones you can look at on my Tried & Tested page. 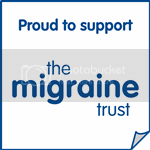 Really vital for you learning about your own migraine, as they're different for everyone! Botox on NHS one step closer!